These photos are from many of my favorite performance experiences. There are more photos to come, so please check back. 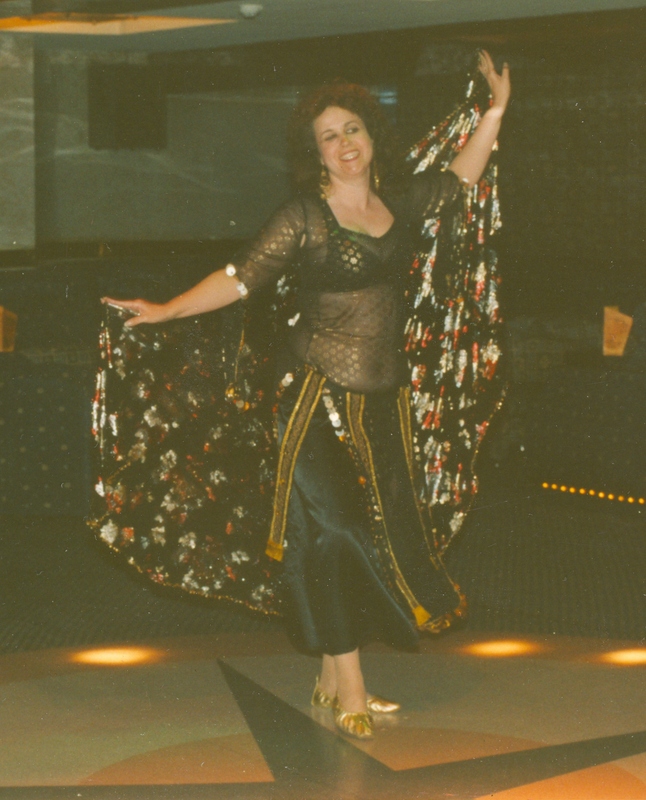 In March 2006, I went to Egypt for the first time as part of the Treasures of Egypt Tour by Katia of Boston, with several other professional dancers. We performed in a showcase while on a cruise on the Nile River in Upper Egypt. We had a wonderful audience not only of our gracious Egyptian crew, but of tourists from the U.S., Australia, Europe and elsewhere. 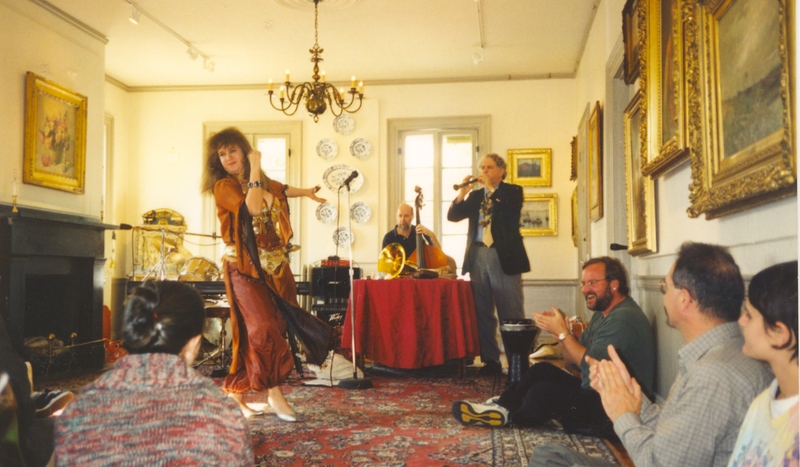 Here I am performing with legendary jazz musician, David Amram at the beautiful Whistler House Museum in Lowell, Mass. Since 2000, David, percussionist Kevin Twigg and bassist John DeWitt and I have performed a jazzy version of "Ah Yah Zein" in the annual Lowell Celebrates Kerouac festival's Cairo to Kerouac program, honoring Beat writer Jack Kerouac's love of world cultures. The writer Lawrence Carradini and I created 'Dance of the Beloved,' a performance of Middle Eastern dance and the poetry of the mystic Rumi, along with some of Lawrence's original poetry and modern and ancient classics. We have performed in many venues since then; this performance took place in October 2004 at the Athenian Corner restaurant. Joining us that evening were the dancers Qamar, Aurora, Nadia and Troupe Dakini. 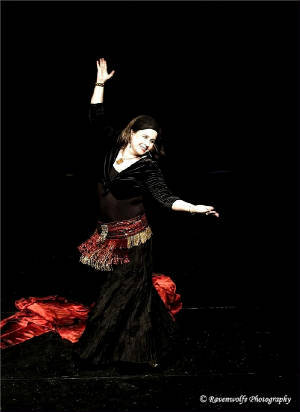 In November 2007, I performed in 'Visions of the East,' a showcase of Middle Eastern dance at MIT Kresge Theatre, and choreographed and directed by Katia of Boston. I performed 'Kariat el Fingen,' the reader of the coffee cup, about a fortune teller who claims to reveal the future of a young girl (played by the dancer, Ma'isa). The scene is a mulid (an Islamic festival day) and as you can see, the girl is not thrilled about all the fortune teller has to say! In my journey in writing and literature, I like to fuse these elements with my dance. I created a gothic choreography, 'Bruders des Schattens' ('Sons of Darkness,') with music from the soundtrack of film director Werner Herzog's 1979 version of 'Nosferatu' by Popol Vuh. I performed this choreography in July 2012 at the Paradox showcase presented by Abraxas Theatre at the YMCA Theater, Cambridge, Mass., July 2012. Here I performed for the Nashua, N.H. Destination Downtown block party. I remember the beautiful warm summer breeze that day, and the great audience -- truly inspiring! I love Persian classical dance, music and poetry. 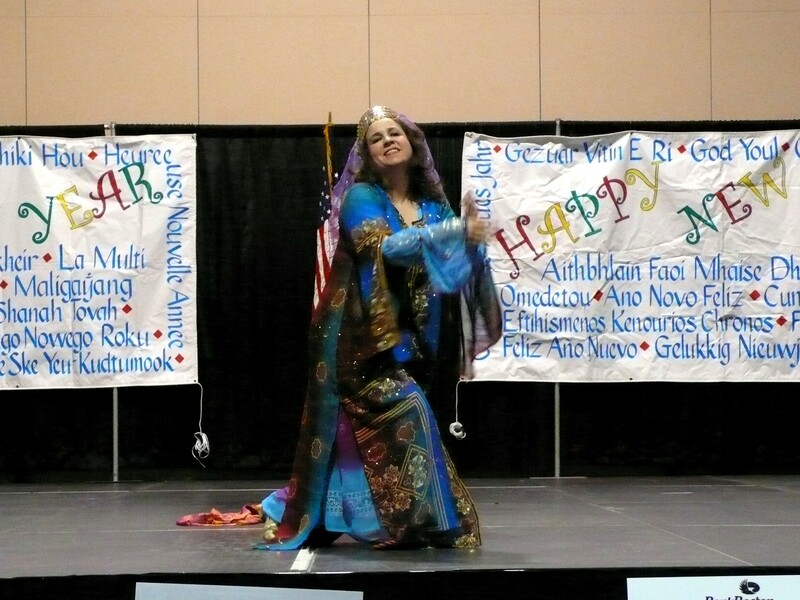 This dance was a tribute to the mystical poet, Hafez, which I performed while dancing with Bellydance Worcester at Worcester First Night at the DCU Center, Worcester, Mass. The show was produced by the beautiful dancer Loreli, who is also a dear friend of mine. 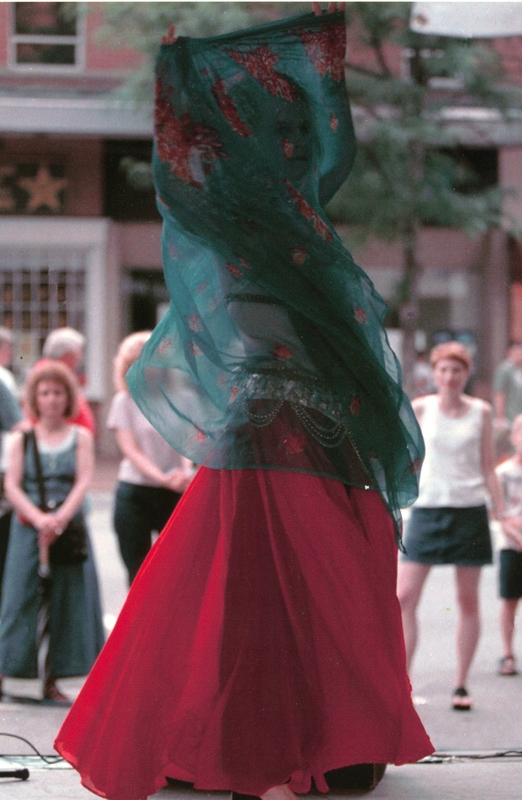 This was a great thrill to dance in downtown Nashua, N.H. and witness the Olympic torch, which runners took right past my stage at a festival celebrating the passing on June 14, 1996. 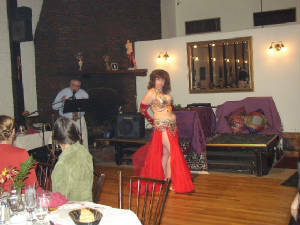 So, in my own way, I hope to keep the flame of Middle Eastern dance alive! 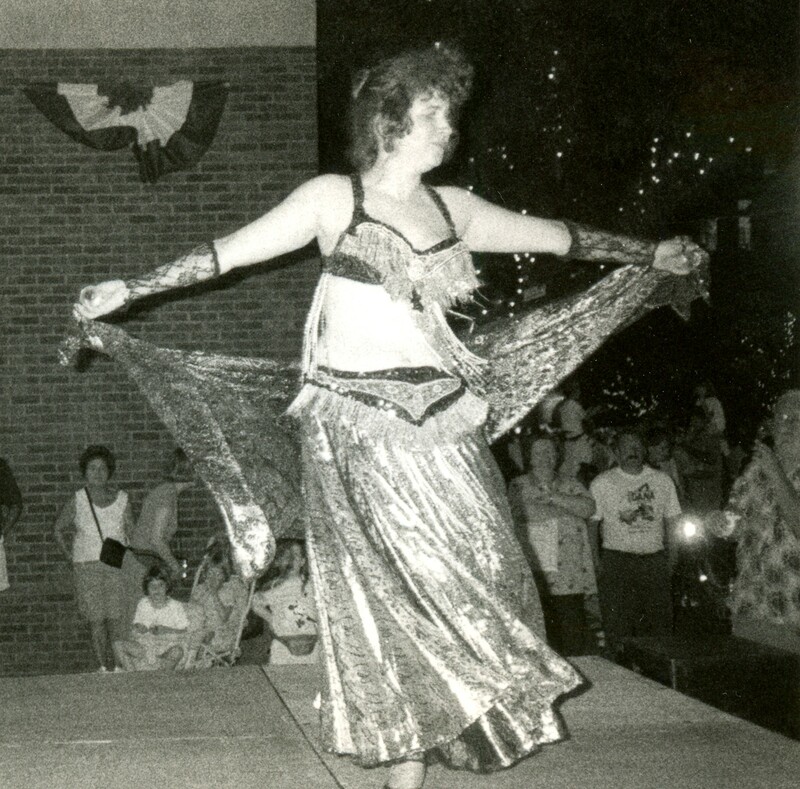 Zbeide, the first dancer with whom I studied, has given a lot to the community over the years, including performances at numerous charitable events. When her son, George, and his fiancee, Margie, were injured in a motorcycle accident, it was the community's turn to help her and her family. 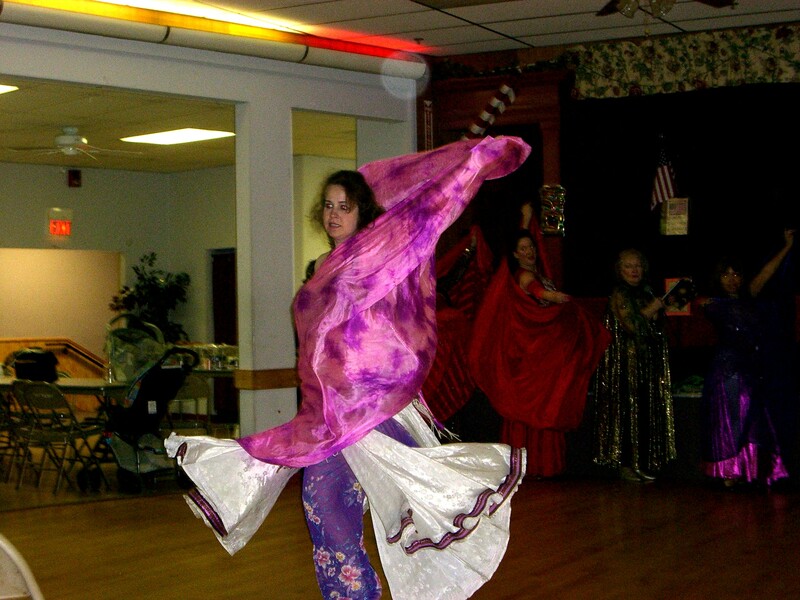 Here I am dancing as part of the troupe, Zbeide's Harem, at a benefit for George and Margie at Dom Polksi, Lowell, Mass., in July 2008. To me, the sword adds an exciting dynamic to Oriental dance. Here, I am performing with Zbeide's Harem, at our annual show to support the 5 Mile Charity Road Race at the East End Club in Lowell, Mass.